The dead fish floating at Unimas’ man-made lake. 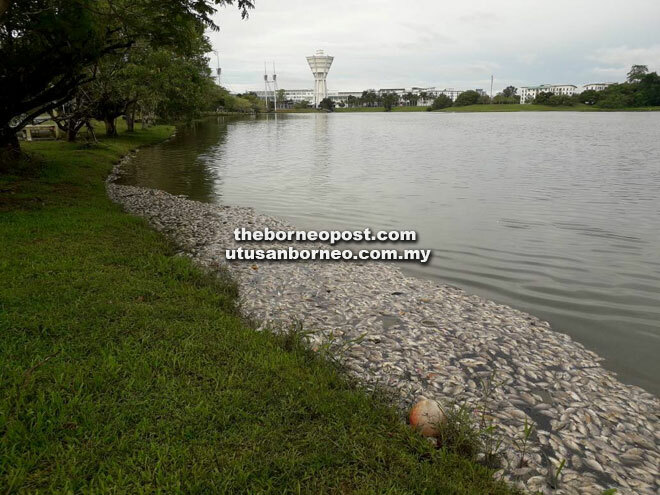 KUCHING: Thousands of dead fish have mysteriously floated to the surface of a man-made lake at Universiti Malaysia Sarawak (Unimas) for the past few days. Efforts have since been carried out by lecturers from the university’s Aquatic Resource Science and Management Programme to identify the cause of the mass death of the fish. One of the lecturers, Dr Aazani Mujahid, disclosed that the university received reports regarding the alarming number of dead fish – previously donated by the Inland Fisheries Department – last week. Since then, she said more dead fish of various species were found floating on the surface of the lake. “There are many factors that may have contributed to the death of the fish but we are still investigating at the moment,” she said when contacted yesterday. 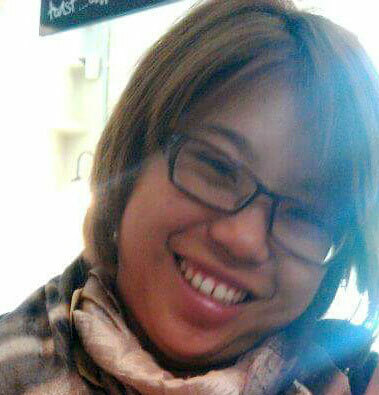 She reckoned that one of the factors could be contamination by dirty water from nearby drains brought in by the rain. Aazani regarded the dead fish phenomenon at the lake as nothing unusual as it had happened not only in the country but also overseas. “The sudden change in weather can also make the fish die, particularly when our weather is rather unpredictable right now thus causing stress on the fish,” she opined. While the university is investigating the cause, Aazani advised those who come across dead fish at the lake not to take them or go fishing there.